President Obama Congratulates NCAA Champion UConn Huskies: "One Of The Great Sports Dynasties Of Our Time"
Today in the East Room, President Obama honored the 2013 NCAA Division I women's basketball champion UConn Huskies as a part of his commitment to celebrate sports teams that inspire their communities on and off the court. While the Huskies have a new trophy to tout, President Obama called attention to their positive impact on those around them. Democrats had seemed about to lose an effort to clear President Obama’s nominee to head the agency, B. Todd Jones, for a vote on final passage. “With an endless parade of distractions, political posturing, and phony scandals, Washington has taken its eye off the ball,” Barack Obama said in a speech at Knox College in Galesburg, Ill. on July 24, 2013. “If four Americans get killed, it’s not OPTIMAL.”–Obama’s calloused, abnormally detached, and incredibly narcissistic response to Comedy Central’s John Stewart’s question about the changing story of the Benghazi attack. 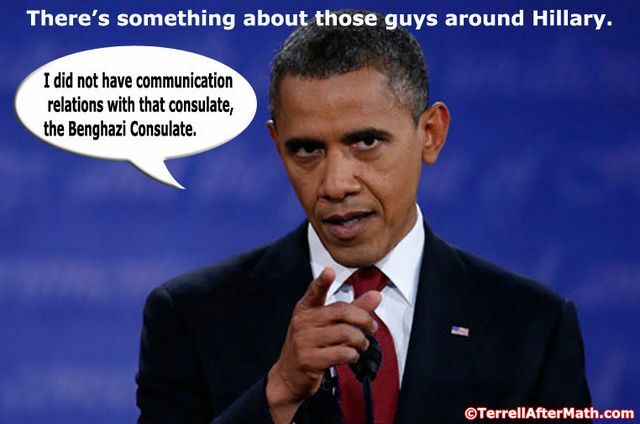 Does Obama think that the Muslim terrorist attack on our consulate in Libya on 9/11/2012 didn’t really happen and that four Americans (Ambassador Chris Stevens, Glenn Doherty, Sean Smith, and Ty Woods) weren’t actually murdered? 1. IRS targets Obama’s enemies: The IRS targeted conservative and pro-Israel groups prior to the 2012 election. Questions are being raised about why this occurred, who ordered it, whether there was any White House involvement, and whether there was an initial effort to hide who knew about the targeting and when. a) The failure of the administration to protect the Benghazi mission. b) The Obama administration changed the talking points in order to suggest the attack was motivated by an anti-Muslim video. c) The intense stonewalling, complete shutdown, and absolute refusal of the White House to say what President Obama did the night of the attack. d) Breaking 200 plus years of honorable American military tradition to never leave any solider behind. 3. Spying on the the AP: The Justice Department stole a plethora of Associated Press reporters’ phone records as part of a leak investigation. 4. James Rosengate: The Justice Department suggested that Fox News reporter James Rosen is a criminal for reporting about classified information and subsequently monitored his phones and emails. 5. The Holder perjury I: Attorney General Eric Holder told Congress that he had never been associated with “potential prosecution” of a journalist for perjury when, in fact, he personally signed the affidavit that alleged Fox News reporter James Rosen was a potential criminal. 7. Holder Perjury II: During congressional hearings held on May 3, 2011, Congressman Darrell Issa asked AG Eric Holder when he first knew about the “Fast and Furious” gun walking scheme. Eric Holder replied under oath: “I am not sure about the exact date but I probably heard about Fast and Furious for the first time over the last few weeks.” Holder flat out lied to Congress under oath;”Project Gun Runner” (Fast and Furious) was launched by Obama with Holder’s full knowledge on March 24, 2009. 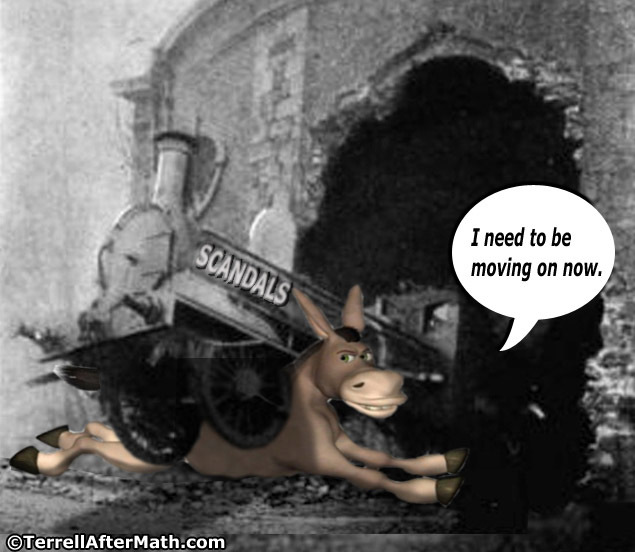 Holder is guilty of perjury and should be arrested. 8. Secretary Kathleen Sebelius runs an extortion racket: HHS Secretary Kathleen Sebelius solicited donations from companies HHS might regulate. The money would be used to help her sign up uninsured Americans for ObamaCare. Yesterday, President Obama visited the Amazon Fulfillment Center in Chattanooga, Tennessee to discuss his plan to create jobs and grow the economy from the middle out, not the top down. Just before speaking to a crowd of Amazon employees, the President sat down for a “Kindle Singles Interview,” a new long-form interview series for Amazon's e-reader. During the conversation with Kindle Singles editor David Blum, the President explained how his past has informed his policies as President, and discussed his plans to spur growth for middle-class families and create more ladders of opportunity. You can download the interview now at www.amazon.com/kindlesingles. The Kindle Singles Interview with President Obama is available on Kindle devices and free Kindle reading apps for iPhone, iPad, Android tablets and phones, Windows Phone, Blackberry, PC and Mac. Get the reading apps at www.amazon.com/kindleapps. Obama’s been displaying, even for him, a great deal of contempt and snootiness towards Congress and its authority (and dare we say obligation) to question his efforts to selectively implement ObamaCare. On Tuesday, the Chattanooga Times Free Press had a simple message for President Obama, who spoke there earlier in the day. “Take your jobs plan and shove it,” said an editorial aimed directly at Obama. And the editorial goes downhill from there, laying the blame directly at Obama’s feet. “You see, we understand you are in town to share your umpteenth different job creation plan during your time in office. If it works as well as your other job creation programs, then thanks, but no thanks. We’d prefer you keep it to yourself,” the editorial added. Read More at examiner.com . By Joe Newby. Investigators: Obama using Connecticut Soc. Sec. Number. Two private investigators working independently are asking why President Obama is using a Social Security number set aside for applicants in Connecticut while there is no record he ever had a mailing address in the state. The Senate is ready for a showdown on President Obama’s pick to head the Bureau of Alcohol, Firearms, Tobacco and Explosives in a battle that carries echoes of this year’s gun control fight. 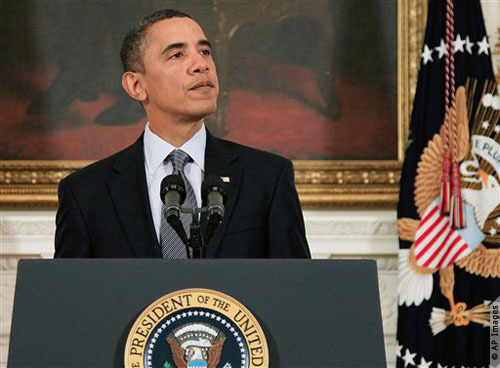 President Obama's Plan For Corporate Tax Reform: A 'Grand Bargain' Or Simply Another Name For An Old Proposal? Today President Obama traveled to Chattanooga, Tennessee today to talk about the first and most important cornerstone of middle class security: a good job in a durable, growing industry. Ed Note: This is a cross post from The Huffington Post. You can find the original post here. My 92-year-old father first ran for public office after he finished his military service in World War II. He served on the city council, and later was elected to Congress. In 1965, he helped write and voted for Medicare and Medicaid, which celebrate their 48th anniversary today. Since then, Medicare has been a guaranteed benefit earned after a lifetime of hard work for millions of America's seniors. Medicaid has provided affordable health coverage for millions of low-income working Americans and families. Both programs have helped keep people from falling into poverty. Both have been lifelines to better health and sources of peace of mind and security. That's why President Obama has made it a top priority to strengthen Medicare and Medicaid so that our seniors and future generations can get the health care they need and peace of mind they deserve. Because of the health law, seniors are seeing more dollars saved in their wallets and better benefits to their health. More than 6.6 million people on Medicare have saved an average of more than $1,000 on prescription drugs since the enactment of the Affordable Care Act. That's money that has been used for groceries, utilities, and visits with grandchildren instead of being sent to drug companies — and that's how the Affordable Care Act is closing the “donut hole” that too many seniors fall into.